We got an email today from one of our campaign owners. She was responding to our email that goes out that asks if they have anything we could be praying for. She was asking for help sharing her campaign. I went to her campaign and saw a story of depression. desperation and self harm. 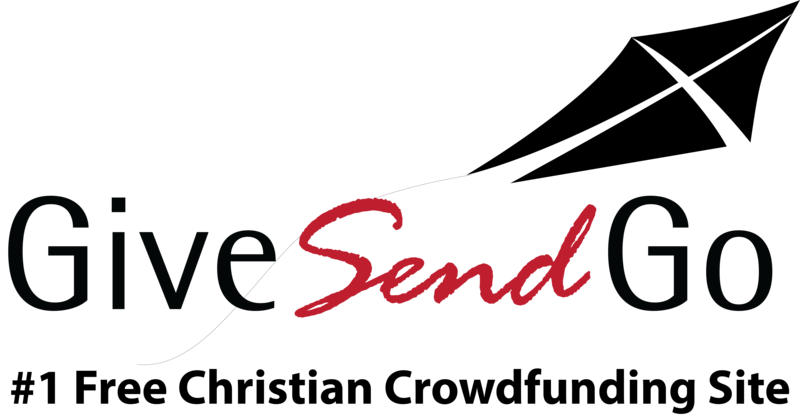 GiveSendGo was built as a platform to help people raise money, but it is in the core of who we are, that we are more than just a fundraising platform. We want to be a light to people going through dark times in their lives. We want to be able to offer Hope to the hopeless, and not just because that sounds like a great Christian phrase, but because we believe there is Hope. Thanks for contacting us. As I read through your campaign I hear the desperation in your plea and will be praying for you. sounds like you need more help than just people giving you money. I would recommend getting some emotional help where you live. Are there any centers that help people who are depressed / self-harming and homeless? Do you have a church that you would feel comfortable going to and talking with the pastors etc ? If you would like us to research some places for you to connect around you, we will be happy to do so and send you some contacts to reach out to. believe Jesus loves you more than anything and that he provides hope even in the most hopeless situation, which is what your campaign sounds like you are in. Please let us know if you would like us to send resource connections for you to reach out to around where you live. I started thinking , “What if this girl writes back? I guess I will get on the phone and start finding resources in and around her area. I wondered if any Churches in her area would be receptive to helping her if I call? That stopped me in my tracks. What?? I was wondering if the local body of Christ would stop their leadership training classes and sermon prep, their Sunday School or small group times to help someone who was definitely in the “least of these” category. Wow, that made me sick to my stomach. Made me think of the different churches I have been apart of. Would they open their doors and resources to help someone, a person who was not a member, a person who had made some bad decisions in their lives, a person who was hurting, mistrusting, and felt unlovable? I came to the unfortunate conclusion that most likely they would not. I am not talking about throwing some money at an unknown situation. I mean embracing the very, very uncomfortable, the unknown, and rolling our sleeves up and deciding to “shine brightly”. Will we choose to give with out needing something in return, to show love to someone who might not even seem to want or deserve it. He would say Yes. It is worth the risk . Love with no strings attached. That is what is means to be a Christ follower. That is how we will see the world change. That is how we will change. Love. If you, your church or ministry are interested in being on our Hand on the ground team, please send us your name address and contact information. If a need or someone in your area ever contacts us and needs to be loved on from someone locally, we would put you in touch. Just through email. We would send an email to you with the persons emails and a little of their story we know , and we would send them your email and phone number to help make a connection with resources in your areas.